Lions and Tigers and Ruth, oh my! Settle in cruisers we are in for some serious views today! We are going to see animals that you’ve only dreamed of! If this event has taught me anything, it’s that i need to sew faster! Some of our animals are coming in twos and perhaps threes! But hey, I have to adjust the mosquito netting and check for scorpions in everyones boots- very busy! First stop- and a little child shall lead them: Myra– show us how it’s done! Surely this much fashion sense much be genetic- I just know it is! 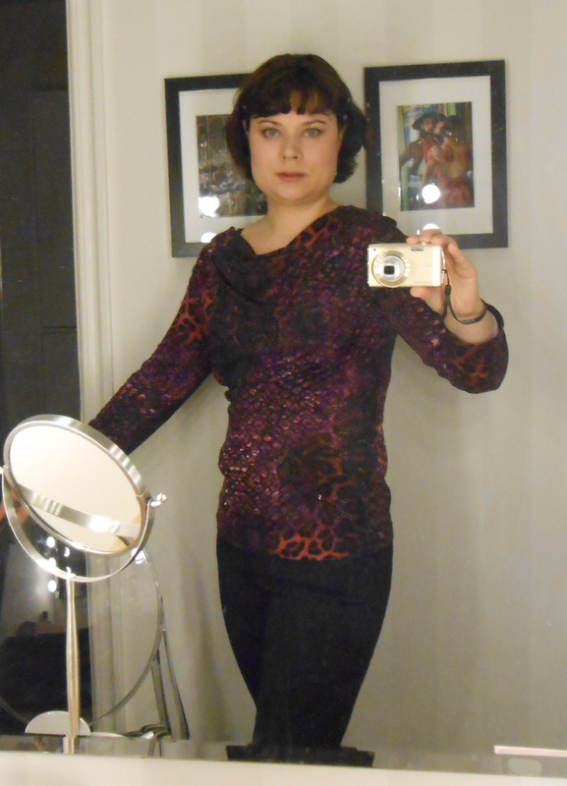 My new friend Annika looks gorgeous in a cowled snake, leopard, gator hybrid- watch the tall grass for her! Welcome to the safari tour Annika!!! Rawr! Says Maria and you’d better listen! Velosewer is definitely taking the Queen of the Jungle title- her makes just get stronger and stronger! You know what happens when you make one member of the family a top? You to make everybody one. Thats why I am too selfish to sew for others- but Elle C– she gives and gives! 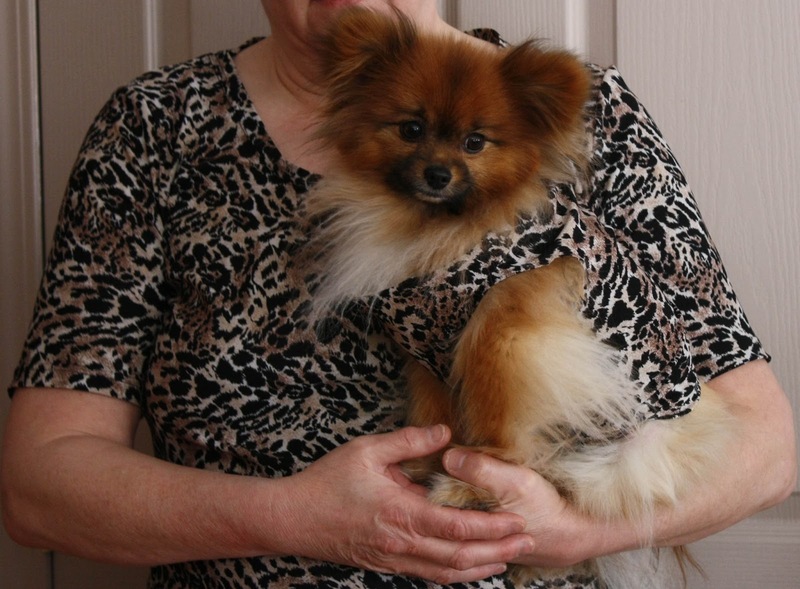 Check out Jaspar…. I was hoping to get pictures of some rare beasts on this trip and oh, have I got a rarity for you! Look, up by that rock formation- it’s the rarely sighted vintage Ruth out for a stroll. Normally her plummage is more sedate than this trek would allow, but we have seen her soft, cheetah underbelly today! 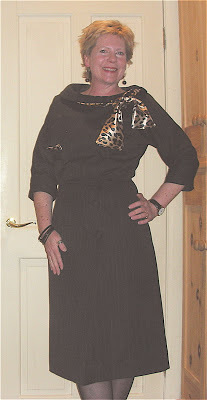 Another reluctant debutante comes to us from Sewing For Fun and I think this tunic is seriously that! There are major details to see on this- and perhaps even a follow up! I’d better get to sewing soon, myself! Lizzy– you know I had to use this shot! I’m so proud of you- a leopard print Pendrall! 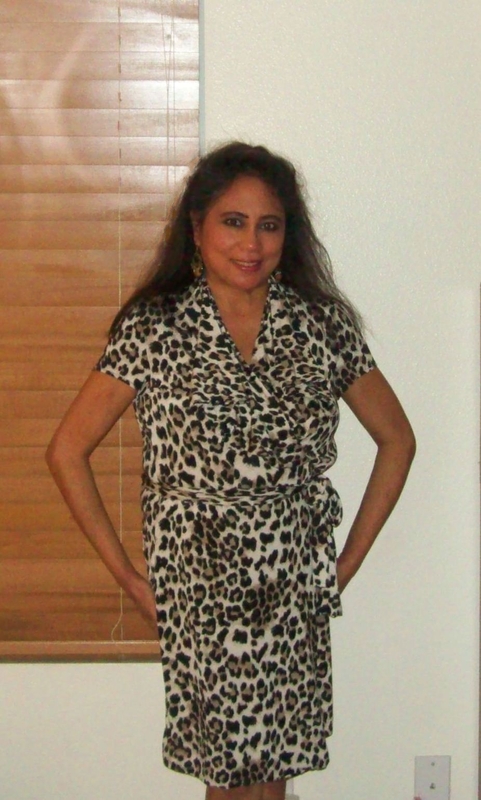 Psst- did I mention that leopard is a gateway print? Oh, Shel– come out, come out and play! Ah, there you are! Extra points for the shoes, by the way! Now since Animals are people too, do you think that teenage zebras are embarrassed by their parents? ‘Gees Mom, no one eats gazelle anymore…it’s soo 80’s….’ Some things are universal, right? Please go see Pella‘s hat- I love it!! I may have a child just to embarrass in this hat! Alright ladies it’s time for the Jungle January Dance off! Beck will be performing the Dylan classic ‘Leopard skin Pillbox hat’ for your enjoyment! My money is on Shelly…. They get better and better! Hetting the camera slave in gear is always the hardest part for me! Oh it is- I love how everyone has made it their own style! Gateway print? Does that mean I didn’t make it into the jungle? Am I a reject? Oh you are in….good luck leaving tho! Once you go cheetah, as they say, you never go bland! I almost fell off my chair when I saw Maria’s dress last night. Wow!!! And I told Ruth that there’s a bad girl hiding inside her and it wants so badly to escape. Now that I think about it, there’s a method to your madness, you’re doing your utmost best to help everyone bring out their inner wild woman! A modern day Mother Teresa ;-)!!!!!!! of sorts. This is such fun. Our lady of the gaudy prints! Arent they amazing? Im so thrilled with all these glamour pusses! You have started a wild rampage of wild jungle women!!! I love it. This weekend I was in Las Vegas and I swear every woman standing in line to enter a club had heard about your jungle January…they were displaying their finest and shortest animal print dresses to catch the eye of admiring males of their species. Much preening by the watering hole, I’m sure! Wow! These are all amazing! MeeYOW! They are gearing up for the 1st Annual Animal Print Awards- the ahem…..Annie Awards! Oh all this awesomeness is making me want to go into animal prints – do I dare?! 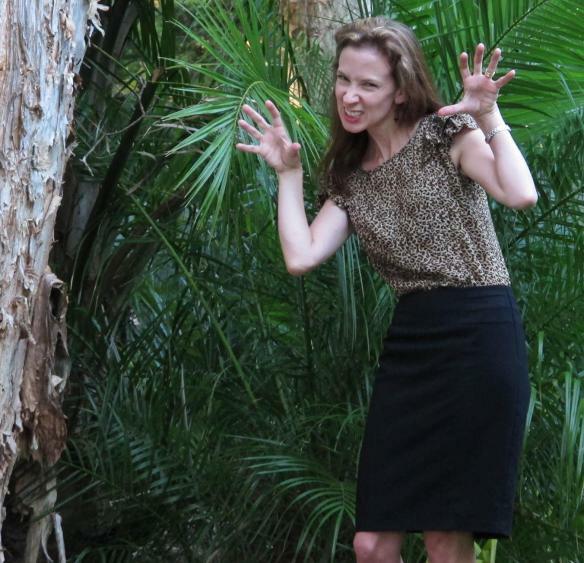 There are degrees of animal- you can dip a stylish toe or go full lioness! Never to late! I havent posted yet! Its like Nature Watch! you guys are going to have to meet up – survival of the fittest! It’s like mutual of Omaha up in here! Rare and vintage am I? I thought I was young and common (especially in that print). Great ideas and work everyone – isn’t it interesting to see all the different interpretations? I think you are all things indeed! Love all the looks! I can’t wait to get my blue cheetah dress done! Ooh! Blue Cheetah! On the edge of my seat! There are some real stunners there – and that first little one is so gorgeous. Enjoying the parade. Is she not a pip? It’s so fab that’s everyone is gettting on the bandwagon (how could they not though, with this theme? ), my dress is done but there’s a problem – I have an insane amount of animal/animal print fabric, we need Jungle June and Jungle July as well. Your stash is gloriously wild!!! Very cute! I’ve really been enjoying Jungle January even though I’m probably not going to participate myself. Well, you can be a zoo booster club member! I truly have a blog crush on you ; ). Always an entertaining read! Everyone’s offerings are fabulous! 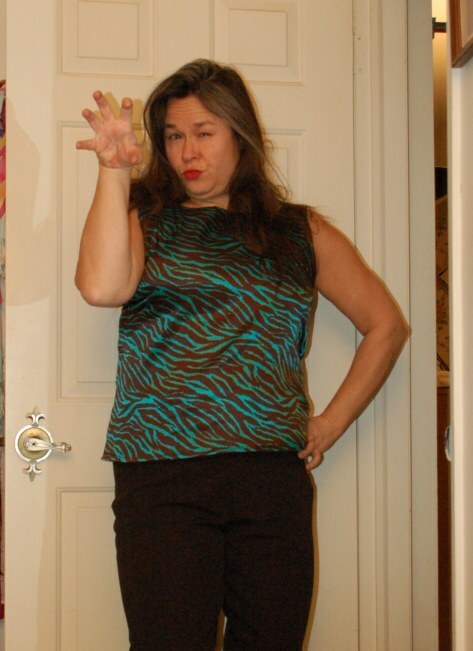 “Leopard is a gateway print.” I just about scared the locals with my snort of laughter. I must be well past that gateway because I’d happily snort all the lines on that first pink zebra pink. 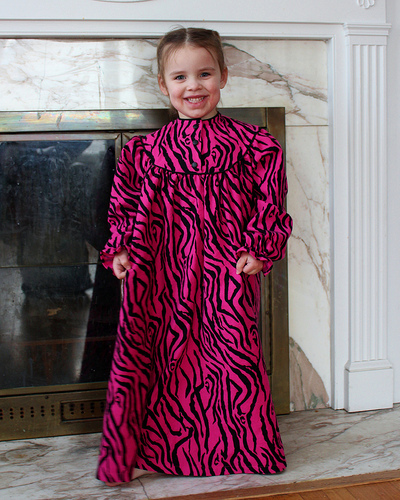 *pink zebra fabric. I blame my phone.